Congratulations to Clifden man & past Connemara RFC youth player Tiernan O’Halloran who was voted the Connacht Rugby Players’ Player of the Year for the 2016-2017 season by his fellow team mates. He was also awarded the “Back of the Year” award. 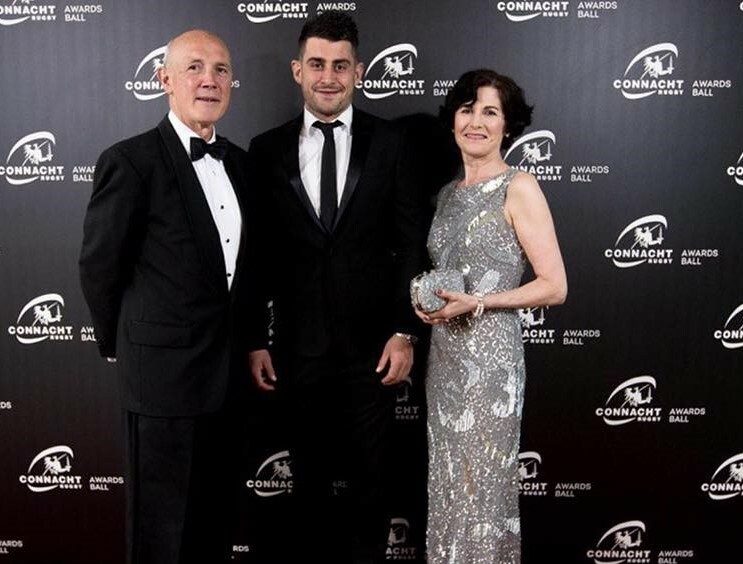 Tiernan received the awards at the annual Connacht Rugby Awards Ball in Galway on 30th April. He is pictured with proud parents Aidan & Maire.